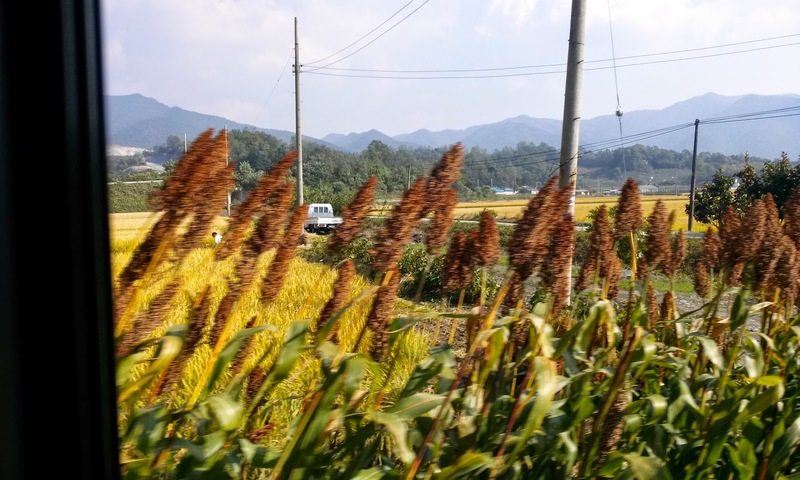 Sarah Goes To Korea: Oh...it's fall again? Over the past week or so the temperatures have been dropping here in Korea. Much to my dismay, I now need to close my window at night and wear a jacket in the morning. 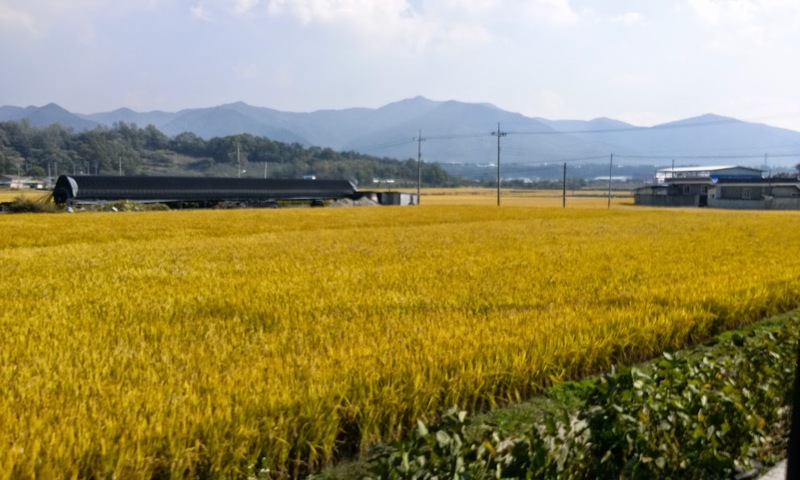 The leaves are starting to change color and the rice fields are yellow and about to be harvested. The combination of these things has forced me to realize that wait, it's really fall. 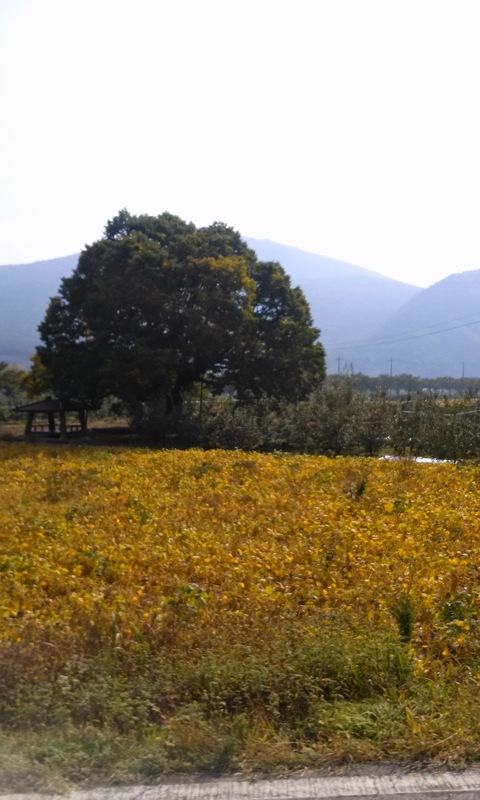 There's something about the changing seasons in Korea that always strikes me in a way that is very different from when I'm home. They always hit me with a bit more force as they remind me of just how long I've been here and of how much time I have left. The scorching summer hot days feel like just yesterday, but they weren't. It's nearly been two months since everyone left Jeomchon, and two months since I started my new contact. It's really easy to let time get away, and I know these next ten months will fly by way faster than I want them to. 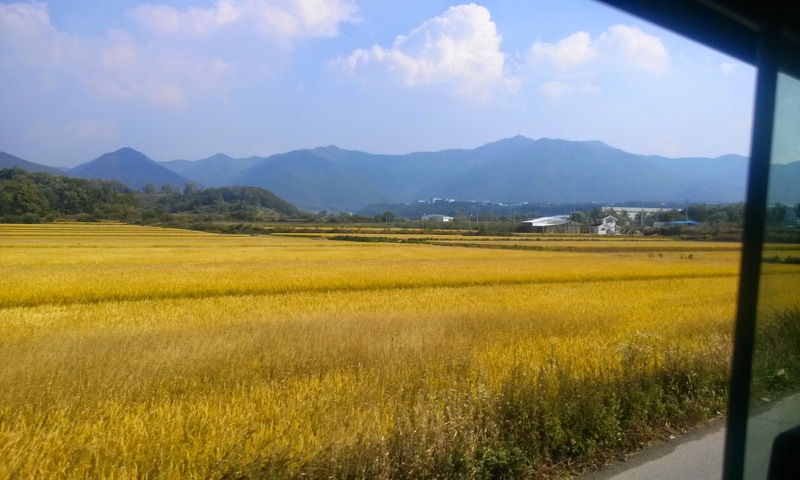 In the meantime, I'm trying to soak in every minute because although the days sometimes seem monotonous, when I take a step back I realize that I am living and working in Korea, seeing and learning about things many Americans never will have the chance to. Here's to not letting it get away from me. Here are a few photos from my bus ride today. 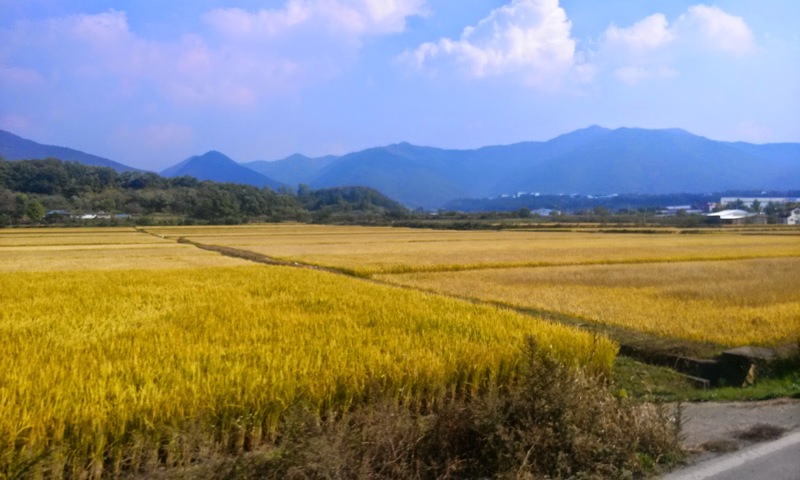 I'm not sure when the rice will be harvested, but I know it's going to be soon, so I wanted to try to get a few photos before it's too late. 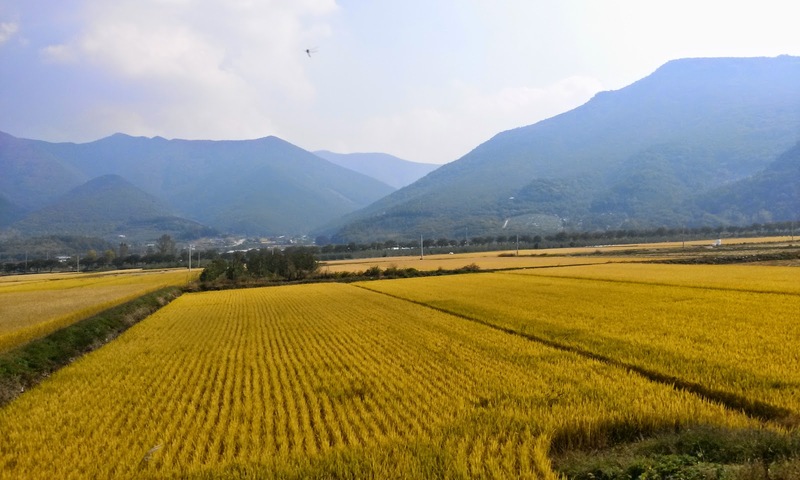 Korea's foliage isn't as vibrant as New England's, but it's certainly still beautiful here with the contrast of colors in the rice fields and mountains. 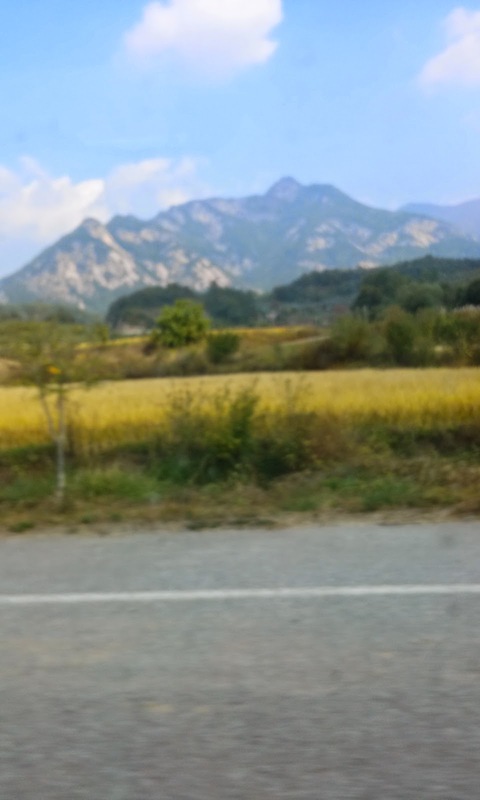 This mountain is SO beautiful, but we drive by it so quickly that it's nearly impossible to get a good photo.